Summary: Today’s we have an article from Quadrant by Garth Paltridge about the politics of climate science. It’s conducted by people, grouped as organizations, operating in American society. That gives it dynamics beyond those they model. This is a good introduction to the narrower discussion of the Possible political effects of the pause in global warming. Posted here with their generous permission. The World Meteorological Organisation of the United Nations took its first steps towards establishing the World Climate Program in the early 1970s. Among other things it held a conference in Stockholm to define the main scientific problems to be solved before reliable climate forecasting could be possible. The conference defined quite a number, but focused on just two. The first concerned an inability to simulate the amount and character of clouds in the atmosphere. Clouds are important because they govern the balance between solar heating and infrared cooling of the planet, and thereby are a control of Earth’s temperature. The second concerned an inability to forecast the behaviour of oceans. Oceans are important because they are the main reservoirs of heat in the climate system. They have internal, more-or-less random, fluctuations on all sorts of time-scales ranging from years through to centuries. These fluctuations cause changes in ocean surface temperature that in turn affect Earth’s overall climate. The situation hasn’t changed much in the decades since. Many of the problems of simulating the behaviour of clouds and oceans are still there (along with lots of other problems of lesser moment) and for many of the same reasons. Perhaps the most significant is that climate models must do their calculations at each point of an imaginary grid of points spread evenly around the world at various heights in the atmosphere and depths in the ocean. The calculations are done every hour or so of model time as the model steps forward into its theoretical future. Problems arise because practical constraints on the size of computers ensure that the horizontal distance between model grid-points may be as much as a degree or two of latitude or longitude — that is to say, a distance of many tens of kilometres. That sort of distance is much larger than the size of a typical piece of cloud. As a consequence, simulation of clouds requires a fair amount of guesswork as to what might be a suitable average of whatever is going on between the grid-points of the model. Even if experimental observations suggest that the models get the averages roughly right for a short-term forecast, there is no guarantee they will get them right for atmospheric conditions several decades into the future. Among other problems, small errors in the numerical modelling of complex processes have a nasty habit of accumulating with time. Again because of this grid-point business, oceanic fluctuations and eddies smaller than the distance between the grid-points of a model are unknown to that model. This would not be a problem except that eddies in turbulent fluids can grow larger and larger. A small random eddy in the real ocean can grow and appear out of nowhere as far as a forecasting model is concerned, and make a dog’s breakfast of the forecast from that time on. All of the above is background to one of the great mysteries of the climate change issue. 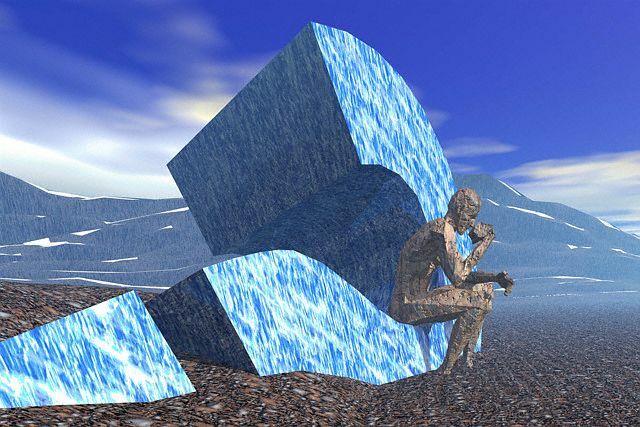 Virtually all the scientists directly involved in climate prediction are aware of the enormous problems and uncertainties still associated with their product. How then is it that those of them involved in the latest report of the Intergovernmental Panel on Climate Change (IPCC) can put their hands on their hearts and maintain there is a 95% probability that human emissions of carbon dioxide have caused most of the global warming that has occurred over the last several decades? Bear in mind that the representation of clouds in climate models (and of water vapour, which is intimately involved with cloud formation) is such as to amplify the forecast warming from increasing atmospheric carbon dioxide — on average over most of the models — by a factor of about three. In other words, two-thirds of the forecast rise in temperature derives from this particular model characteristic. Despite what the models are telling us — and perhaps because it is models that are telling us — no scientist close to the problem and in his right mind, when asked the specific question, would say that he is 95% sure that the effect of clouds is to amplify rather than to reduce the warming effect of increasing carbon dioxide. If he is not sure that clouds amplify global warming, he cannot be sure that most of the global warming is a result of increasing carbon dioxide. Bear in mind too that no scientist close to the problem and in his right mind, when asked the specific question, would say there is only a very small possibility (that is, less than 5%) that internal ocean behaviour could be a major cause of the warming over the past half-century. He would be particularly careful not to make such a statement now that there has been no significant warming over the most recent 15 or so years. In the mad scurry to find reasons for the pause, and to find reasons for an obvious failure of the models to simulate the pause, suddenly we are hearing that perhaps the heat of global warming is being “hidden” in the deep ocean. In other words we are being told that some internal oceanic fluctuation may have reduced the upward trend in global temperature. It is therefore more than a little strange that we are not hearing from the IPCC (or at any rate not hearing very loudly) that some natural internal fluctuation of the system may have given rise to most of the earlier upward trend. In the light of all this, we have at least to consider the possibility that the scientific establishment behind the global warming issue has been drawn into the trap of seriously overstating the climate problem — or, what is much the same thing, of seriously understating the uncertainties associated with the climate problem — in its effort to promote the cause. It is a particularly nasty trap in the context of science, because it risks destroying, perhaps for centuries to come, the unique and hard-won reputation for honesty which is the basis of society’s respect for scientific endeavour. Trading reputational capital for short-term political gain isn’t the most sensible way of going about things. The trap was set in the late 1970s or thereabouts when the environmental movement first realised that doing something about global warming would play to quite a number of its social agendas. At much the same time, it became accepted wisdom around the corridors of power that government-funded scientists (that is, most scientists) should be required to obtain a goodly fraction of their funds and salaries from external sources — external anyway to their own particular organisation. The scientists in environmental research laboratories, since they are not normally linked to any particular private industry, were forced to seek funds from other government departments. In turn this forced them to accept the need for advocacy and for the manipulation of public opinion. For that sort of activity, an arm’s-length association with the environmental movement would be a union made in heaven. Among other things it would provide a means by which scientists could distance themselves from responsibility for any public overstatement of the significance of their particular research problem. The trap was partially sprung in climate research when a number of the relevant scientists began to enjoy the advocacy business. The enjoyment was based on a considerable increase in funding and employment opportunity. The increase was not so much on the hard-science side of things but rather in the emerging fringe institutes and organisations devoted, at least in part, to selling the message of climatic doom. A new and rewarding research lifestyle emerged which involved the giving of advice to all types and levels of government, the broadcasting of unchallengeable opinion to the general public, and easy justification for attendance at international conferences — this last in some luxury by normal scientific experience, and at a frequency previously unheard of. Somewhere along the line it came to be believed by many of the public, and indeed by many of the scientists themselves, that climate researchers were the equivalent of knights on white steeds fighting a great battle against the forces of evil — evil, that is, in the shape of “big oil” and its supposedly unlimited money. The delusion was more than a little attractive. The trap was fully sprung when many of the world’s major national academies of science (such as the Royal Society in the UK, the National Academy of Sciences in the USA and the Australian Academy of Science) persuaded themselves to issue reports giving support to the conclusions of the IPCC. The reports were touted as national assessments that were supposedly independent of the IPCC and of each other, but of necessity were compiled with the assistance of, and in some cases at the behest of, many of the scientists involved in the IPCC international machinations. In effect, the academies, which are the most prestigious of the institutions of science, formally nailed their colours to the mast of the politically correct. Since that time 3 or 4 years ago, there has been no comfortable way for the scientific community to raise the spectre of serious uncertainty about the forecasts of climatic disaster. It can no longer use the environmental movement as a scapegoat if it should turn out that the threat of global warming has no real substance. It can no longer escape prime responsibility if it should turn out in the end that doing something in the name of mitigation of global warming is the costliest scientific mistake ever visited on humanity. The current redirection of global funds in the name of climate change is of the order of a billion dollars a day. And in the future, to quote US Senator Everett Dirksen, “a billion here and a billion there, and pretty soon we’ll be talking about real money”. At the same time, the average man in the street, a sensible chap who by now can smell the signs of an oversold environmental campaign from miles away, is beginning to suspect that it is politics rather than science which is driving the issue. Scientists — most scientists anyway — may be a bit naive, but they are not generally wicked, idiotic, or easily suborned either by money or by the politically correct. So whatever might be the enjoyment factor associated with supporting officially accepted wisdom, and whatever might be the constraints applied by the scientific powers-that-be, it is still surprising that the latest IPCC report has been tabled with almost no murmur of discontent from the lower levels of the research establishment. What has happened to the scepticism that is supposedly the lifeblood of scientific inquiry? The answer probably gets back to the uncertainty of it all. The chances of proving that climate change over the next century will be large enough to be disastrous are virtually nil. For the same reason, the chances of a climate sceptic, or anyone else for that matter, proving the disaster theory to be oversold are also virtually nil. To that extent there is a level playing field for the two sides of the argument. The problem is that climate research necessarily involves enormous resources, and is a game for institutions and organisations. Scepticism is an occupation for individuals. Things being as they are in the climate-change arena, scepticism by an individual within the system can be fairly career-limiting. In any event, most individual scientists have a conscience, and are reluctant to put their heads above the public parapet in order to propound a view of things that may be inherently unprovable. In short, there is more than enough uncertainty about the forecasting of climate to allow normal human beings to be at least reasonably hopeful that global warming might not be nearly as bad as is currently touted. Climate scientists, and indeed scientists in general, are not so lucky. They have a lot to lose if time should prove them wrong. Garth Paltridge is an emeritus professor at the University of Tasmania and a fellow of the Australian Academy of Science. From 1982 – 1989 he was a chief research scientist with CSIRO’s Division of Atmospheric Research (Commonwealth Scientific and Industrial Research Organisation; Australia’s national science agency). 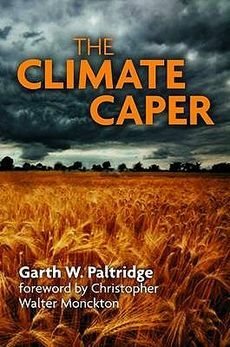 He is the author of The Climate Caper: Facts and Fallacies of Global Warming. See his Wikipedia page for additional information. It also lists some of his publications. Quadrant Magazine is the leading general intellectual journal of ideas, literature, poetry and historical and political debate published in Australia. 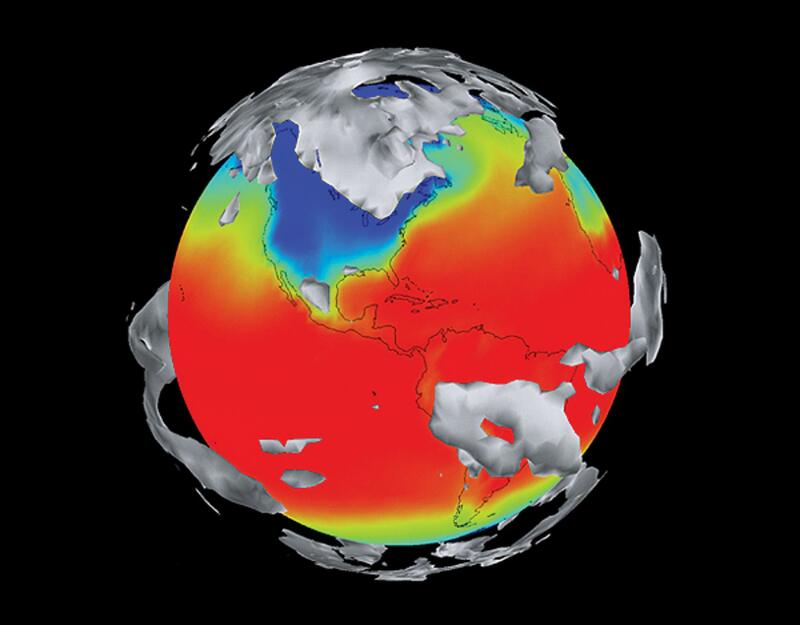 “What Are Climate Models Missing?“, Bjorn Stevens and Sandrine Bony, Science, 31 May 2013 — Gated. Open version here.